Interior Designers & Architects Website Development Solutions & Web Applications A complete website solutions package for the desinger services industry. Tactical-Moves small business web development and IT solutions team incorporate business web applications and business IT solutions in manageable tactical moves. The process can be completed over one to five phases. No commitment required! Phase 1 Phase one is our business solutions and website development program. This is a program designed for interior designer & architects that utilizes many of our services is one package. You may expand on one or more services as your needs require it. Expanding your business We further help business professionals stay on top of a changing technical landscape to leverage their existing business platforms with our custom business solutions and web applications. Our IT Solutions team will provide efficient streamline solutions like our appointment web application, electronic billing and invoicing applications, time track application, remote access central file location that is cloud based. You can trust your data and operations with our solutions team. Website Development - 5 page touch friendly website or website refresh with dynamic content. Generate Leads - Connect with potential client through search engines, SEO. Client Conversion - Increase your client base! Convert prospects into client. Client Relations - Social networks, Maintain your client base with great content and industry news. Time Tracking - a Custom web application that tracks billable hours. 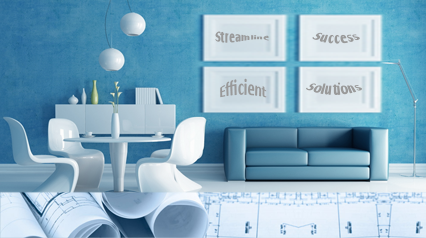 Office, home office - Streamline your business operations with our cost-effective business solutions - Tactical-Moves have developed many applications designed for the architect and design industry. Together we can cut operating cost and streamline your business operations. We offer an IT assessment that will discover what capabilities are currently available in your office today. We will also provide a report with pricing on affordable options available. Time saving and convenient Appointment setting web application, clients can book an appointment from your website. You decide what time block you have available and clients can book it online. You will be notified and can approve the scheduled time. On the road - While you and your team are on the road- We have developed affordable time saving web applications that can really improve efficiency while on the road. Time tracking, is a custom web application that tracks all billable hours on the road. Our invoicing web application, produce an invoice that incorporates your billable hours on the fly that you can edit and send to the client from any location in real-time. Your client will have the option to pay by credit card or send a check. We have affordable payment solutions including credit card payments. Retail Office - Have a professional unified look and feel across all platforms. We have IT solutions that will integrate all locations, mobile devices and your team. Tactical-Moves offer leadership coaching for the businesses owner and management team.